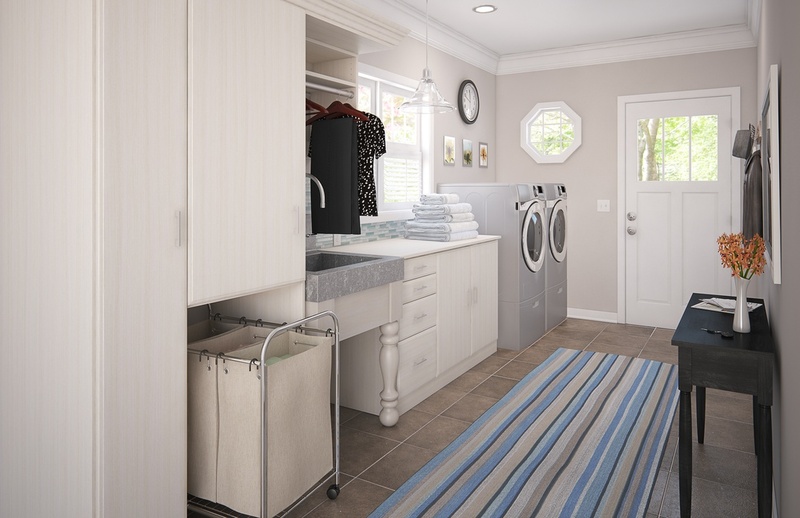 Renovate your laundry room with an upscale organization system that keeps this hardworking space looking clean and bright. Shown in Desert with Molded style door and drawer fronts, it offers practical features like a hanging rod, cabinets for storing laundry supplies, a counter for folding, and a rolling laundry sorter. Stylish details like crown molding and Matte Nickel finish hardware transform the room into an appealing part of your home.